Mint, never hinged and sound used. Looking for bargains to add to your collection?. Please check out the image(s) in detail. This lot is for the stamp(s) only & does not include the stock pages. All items are well packaged. Off paper good condition all different. 41 Vintage Barbados stamps priced to clear stock P74. 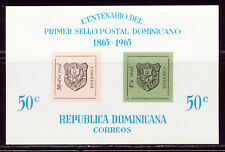 Antigua #1293 mint never hinged s/sheet. I do it this way so I do not have to keep up with that. One less thing to worry about. Most of my pictures are enlarged to show more details. On this lot, the picture you see in the scan is what you will actually receive. One coin has black spots on it. Delays can occur. We appreciate your cooperation with this. COMBINING ORDERS. Direct communication is always the best way to fix an issue. AND ALL POLICIES. If there is a fault we will describe it. You may not receive the exact stamp imaged. Direct communication is always the best way to fix an issue. AND ALL POLICIES. If there is a fault we will describe it. Delays can occur. On occasion, we may misidentify an item. You may not receive the exact stamp imaged. Delays can occur. Direct communication is always the best way to fix an issue. AND ALL POLICIES. If there is a fault we will describe it. We appreciate your cooperation with this.